A. Tunç Şen is a historian of the early modern Ottoman Empire, with a particular interest in the cultural history of science and divination, history of mentalities and perceptions of time, history of books and readers, and social history of scholarship and education. His current book project, titled Masters of Time: Astrologers at the Early Modern Ottoman Court, examines the role of astrologers in computing and interpreting time in the early modern Ottoman/Islamicate intellectual and imperial domain. In 2018, his article, “Reading the Stars at the Ottoman Court: Bayezid II and His Celestial Interests,” received the CIEPO (Comité International des Études Pré-ottomanes et Ottomanes) prize for the best article by an early-career scholar in pre-Ottoman or Ottoman studies. 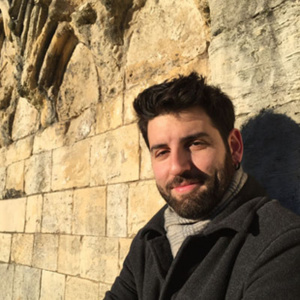 Şen is a member of an international research project Geographies and Histories of the Ottoman Supernatural Tradition: Exploring Magic, the Marvelous, and the Strange in Ottoman Mentalities led by Dr. Marinos Sariyannis and funded by the European Research Council. He is also co-chairing the Columbia University Ottoman and Turkish Studies Seminars and sitting on the advisory board for the Manuscripts of the Muslim World project. For more frequent updates about his scholarly activities, see here. Prior to joining Columbia University, he taught courses on Ottoman history and paleography at Leiden University during the academic year 2016-2017. Middle East Medievalists (MEM) inaugural prize for Best Dissertation (2018). CIEPO (Comité International des Études pré-Ottomanes et Ottomanes) Best Original Article in the field of pre-Ottoman and/or Ottoman studies written by a young scholar (2018). Mellon Post-Doctoral Fellowship in Humanities, McGill University (2016-2018) (Declined). Provost’s Dissertation Completion Fellowship, University of Chicago (2015-2016). Stuart Tave Teaching Fellowship, University of Chicago (2015-2016). SSRC International Dissertation Research Fellowship (2014-2015). American Research Institute in Turkey (ARIT) Dissertation Fellowship (2013-2014). Newberry Library Dissertation Seminar for Historians Fellowship (2012-2013). University of Chicago Graduate Studies Fellowship (2008-2013). The Scientific and Technological Research Council of Turkey Fellowship (2006-2008). “Reading the Stars at the Ottoman Court: Bāyezīd II (r. 886/1481-918/1512) and his Celestial Interests,” Arabica 64/3-4 (2017): 557-608 [special issue New Perspectives on Islamicate Occultism (13th-17th Centuries), eds. Matthew Melvin-Koushki & Noah Gardiner]. “Practicing Astral Magic in Sixteenth-Century Ottoman Istanbul: A Treatise on Talismans attributed to Ibn Kemāl (d. 1534),” Journal of Magic, Ritual, and Witchcraft 12 (2017): 66- 88. “Rasattan Takvime: 15. ve 16. Yüzyıllarda Osmanlı Dünyasında Astrolojinin Yeri Üzerine Bazı Gözlemler,” [From Astronomical Observations to Almanac Prognostications: Revisiting the Role of Astrology in the fifteenth-and sixteenth-century Ottoman World] in Osmanlı’da İlim ve Fikir Dünyası, ed. Ömer Mahir Alper et al. (Istanbul: Klasik, 2016), 227-250. “A Mirror for Princes, A Fiction for Readers: Habname of Veysi and Dream Narratives in Ottoman-Turkish Literature,” Journal of Turkish Literature 8 (2011): 41-64.